Because nothing says "I Love You" quite like a juicy chunk of beef. 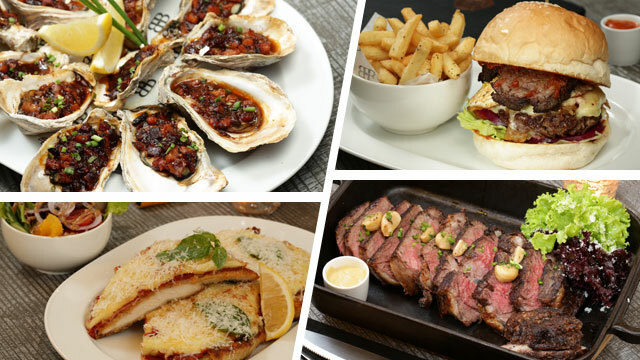 (SPOT.ph) The way to dad’s heart may well be through his stomach! Treat the man of the house to a special steak meal this weekend at Burgos Circle—a trendy enclave located in one of the Metro's most progressive locales. Whatever his taste, dad will surely enjoy any of the outstanding dining options available here. Spoil him a bit this weekend—he deserves it! 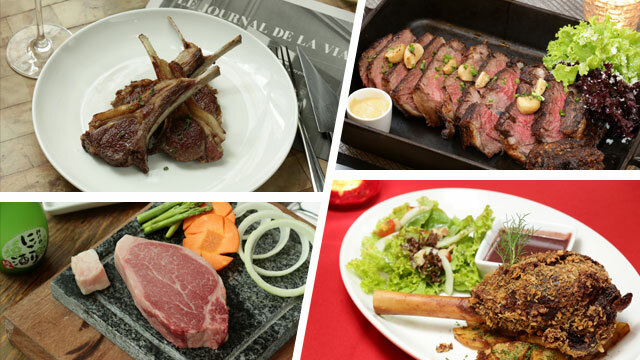 Your pop's jaw (and your's, too) will drop at the wide selection of fine meats at Atelier Vivanda. Headed by two-Michelin-star Chef Akrame Benallal of Paris, this integrated steakhouse/bistro/wine and cheese bar serves artisanal, French-style comfort food. 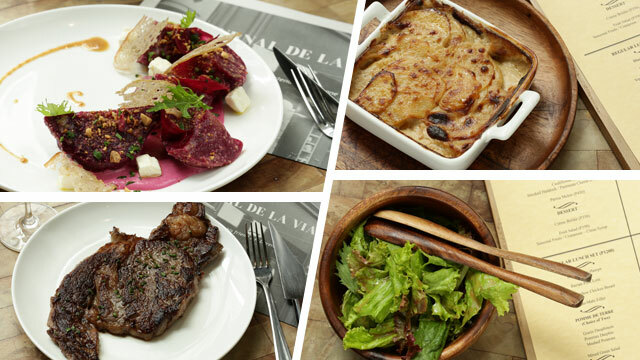 Definitely make space for their 50-day dry-aged meat imported directly from Paris. 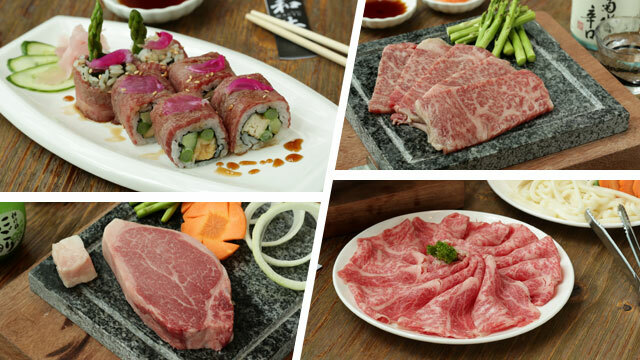 It started out as a meat shop offering high-grade cuts straight from Japan, and now it's a restaurant. So now you can have your meat and eat it, too! Led by Takayuki Hayano, Clar Siy, and a shared passion for quality beef, Wagyu capably serves a mouth-watering selection. NOTE: this coming weekend they’re adding a shabu shabu hot pot for the whole family to enjoy. With its newest branch in the food strip of Burgos Circle, Chef Wade Watson offers a taste of casual Australian Cuisine. Don’t be intimidated by the mood of the restaurant, as it exudes a real Aussie energy. That energy is well-placed, as what comes out of the kitchen are all winners and heavy servings to satisfy all of your meat cravings. 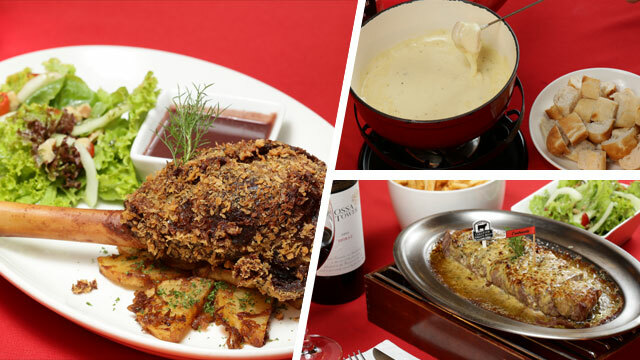 A quaint little joint, L’Entrecote brings the Parisian bistro vibe to Manila. Specializing in steaks and wine, the Geneva-borne restaurant boasts of its “secret” herb butter sauce, which adds to a truly comforting steak dining experience. For more information about Burgos Cirlce and it's establishments, click here.